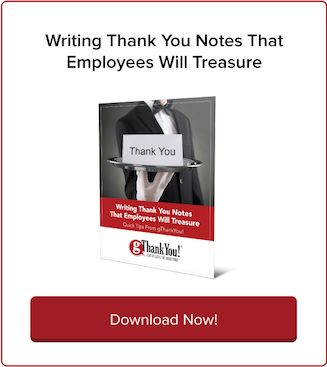 Why Genuine Leadership Leads to Happier Employees | gThankYou! When your company develops genuine leadership, employees are more engaged, trusting and productive. Genuine leadership causes a positive ripple effect from the top down. Genuine leaders put employees at ease, open up lines of communication and build loyalty. But being genuine in all situations can be challenging. It takes practice and self-reflection! The good news is, we’re all capable of it. Read on for tips on how to cultivate genuine leadership in your organization. Why Is Workplace Authenticity So Hard? Attempts at genuine leadership can fall flat because “genuine” is often mistakenly equated with “being nice.” The pressure to just be nice subverts authenticity and leads to phony communication. Genuine people are nice, but they’re authentic! They aren’t afraid to reveal their own vulnerability even in difficult situations. Sometimes being “nice” means telling the truth about things we’d rather not discuss such as criticism, a dip in company profits, a personal mistake or negative feedback. Authenticity means being yourself. It sounds so simple, doesn’t it? Yet although our culture values authenticity, the pressure of performing well makes it harder to actually be authentic. The challenge of workplace authenticity is compounded by the increased use (and misuse) of digital communication. #TChat guest Ted Rubin, leading social media strategist and co-author of “Return on Relationship,” says the advice in Dale Carnegie’s groundbreaking book, “How to Win Friends and Influence People” is as relevant now as it was when it first came out in 1936. According to Rubin, a mistake many people make online is to worry about accruing followers, “likes” and retweets instead of first focusing on genuine connection. Carnegie’s advice — to connect with people by calling them by name, listening carefully and remembering personal details — translates easily in the online world. In fact, Rubin says, the sheer amount of information at our fingertips should make building genuine relationships even easier. Rubin himself harnesses the power of a searchable database to keep track of everyone he encounters — where they met, what they talked about, and other details that make reconnecting and building relationships easier and more effective. Rubin is honest and unapologetic about his database method and how it works for him. According to Tobak, these are signs of a genuine person. Authentically shared gratitude is powerful and contagious. Forbes contributor Margie Warrell talks about unlocking the power of authenticity. Appreciation is the final, important step in this process. 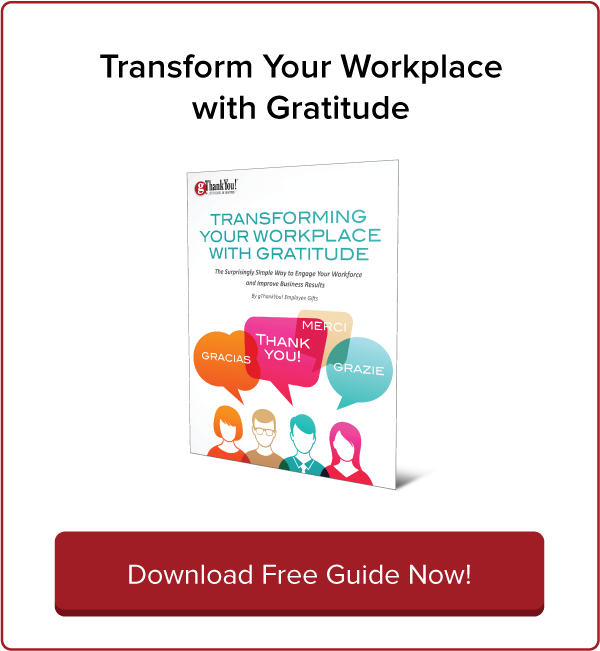 Gratitude comes naturally when leaders are already listening, sharing honest feedback, “other-centered” instead of self-centered and engaged with employees on a personal level. Warrell encourages leaders to expand gratitude beyond results-based work. “Focus on the virtues they have brought to the task at hand: perseverance, collaboration, humor, tenacity, resilience, creativity, assertiveness, flexibility, a strong work ethic,” she writes. 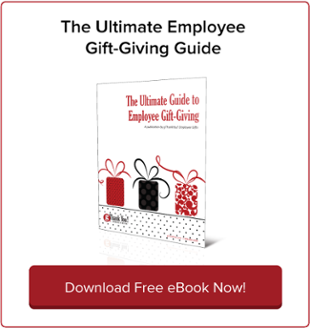 Also consider the ways you can show gratitude besides saying “thank you.” Share a small gift, organize an afternoon of outdoor team-building games, or ask an employee for personal feedback on a new program. The key to authenticity in gratitude — and to authentic communication in general — is explaining why you’re doing what you’re doing. Instead of just saying “thanks,” say why you’re grateful. Instead of rounding up the team for an afternoon of mandatory games, explain why you think it’s important and ask for their thoughts. Be open. 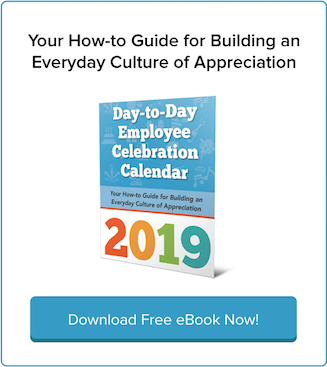 For more great tips and insights into building a vibrant culture of engagement, loyalty and appreciation, be sure to download our free e-book, “The Top 20 Employee Engagement Blogs You Should be Reading”.